A blogging schedule is a tool that’s supposed to help you say on top of your blog, content creation, publication promotion. It’s a method to stay consistent and take control of your blog. 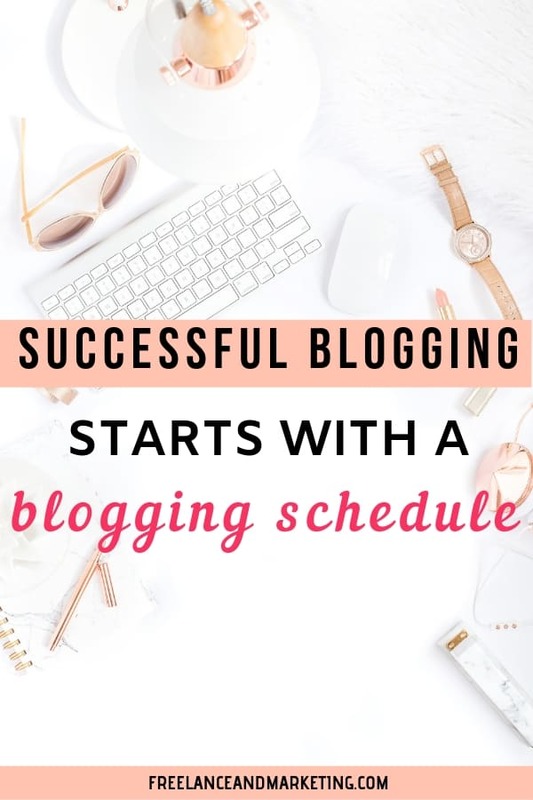 Blogging schedule has certain essential sections that you’re supposed to fill out, complete, pre-plan to make your process smoother, faster, and without complications. Ideally, your blogging schedule should have a set schedule, and you should approach it as written in stone in a sense. Otherwise, if you allow yourself to go back and forth, change deadlines, and edit things because you didn’t have time to complete it or you took a break and fell behind, well then, you might as well not have a blogging schedule. 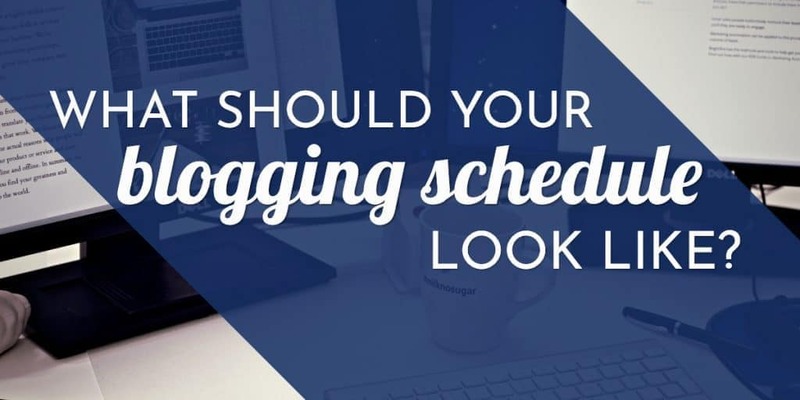 HOW SHOULD YOU START CREATING YOUR BLOGGING SCHEDULE? To be an effective tool, your blogging schedule should contain information such as content type, promotional channels, publishing dates, time-frames for editing, rewriting, etc. A good blogging schedule will keep you consistent. 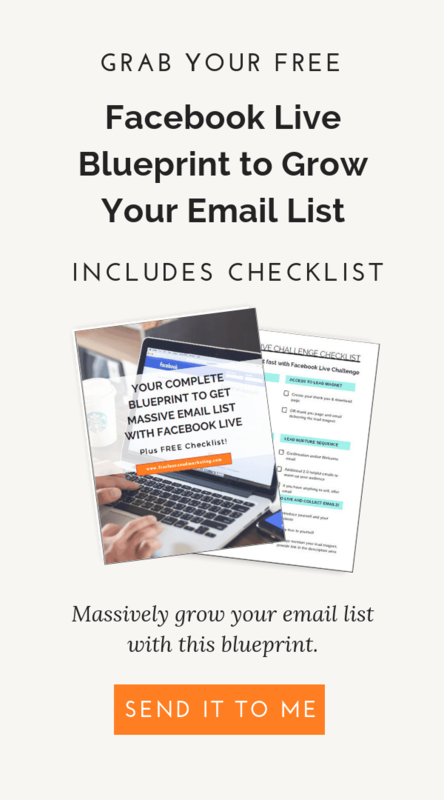 It will help you to increase traffic, bring in more email subscribers, and even help you convert your subscribers into customers. Your blog schedule will not succeed if you don’t determine your specific goals and metrics. Before you create a schedule for yourself, figure out what it is that you want. For example, by the end of 3 months, you want to have doubled your website traffic or get minimum 5000/views a day, increased your social media engagement and following, grew your email list by 30% and converted 25% of those to paying customers. Obviously, this is just an example. Your own metrics and blogging goals can be whatever you want. However, make sure that your goals are actually S.M.A.R.T. goals as is described in CoSchedule’s blog. S.M.A.R.T. goals stand for specific, measurable, actionable, realistic, and timely. In other words, if you’re a new blog, and have 0 traffic, don’t set a goal for yourself to have 100,000 daily views in a month because that’s not a realistic goal. Always keep in mind where you’re starting from, and aim to go higher gradually so that your actions and schedules match and make sense. Your schedule should be something that is achievable for you. If you generally don’t have time to publish a new post or content more than once a week, don’t make a plan where you intend to publish 3 times a week, because chances are you won’t be able to maintain that schedule. If your schedule is unrealistic and not achievable for you, then having a schedule defeats the purpose. Make sure you stay consistent. A major goal behind having a blogging schedule is to increase traffic to your website. Your traffic will increase if you publish new content consistently and regularly. Your audience needs to know that they can count on your to publish new content on a certain day. This expectation slowly creates traffic that you can count on. A blogging schedule, along with a content calendar, will allow you be on top of you blogging game. Having these two tools in place will prevent you from cutting corners. The way you go about creating your blogging schedule and carrying out your tasks will differ depending whether you’re a solo blogger or one who has a team behind them. If you’re working with a team, then you have people who will take over certain aspects such writing the post, editing the content, creating graphics, doing the research, doing the marketing and promotion, taking over social media tasks, and more. However, if you’re working by yourself, then you’re gonna have to wear many different hats for your content creation, publication, promotion, social media graphics and scheduling, and so on. When working by yourself, it’s especially important to plan everything and have a realistic blogging schedule. You have to give yourself enough time to accomplish every task on your list so that you can still publish your content in a consistent manner. As a solo blogger, you need to allot proper time for every task on your list so that nothing falls through the cracks, and you still execute perfectly. One of the hats you need to wear is that of the writer, unless you can afford to hire someone to produce content for you. A good blog post, podcast, video, or any other type of content, takes time to prepare. You need to come up with the topic, with your keywords, do the research, possibly find two or three outside authoritative sites to link to, work on your outline and finally prepare your first draft. Depending how fast of a writer and think you are, I would block anywhere from 3-7 hours of time for creating your first draft. Your job, however, does not stop with the first draft. You need to put your draft aside, and start creating your social media and promotional graphics. Keep in mind that you want to create correct sized graphics for all the different platforms to maximize the way your social media post looks. If you’re pinning on Pinterest (and you should), create 2-3 graphics to begin with for your post. After you create your social media graphics, should go back to your first draft, and start the editing process. Pay attention to the spelling, typos, and grammar overall. For the editing step to be effective, you should edit more than once for different things. For example, you can edit it for spelling mistakes, you can edit for links to make sure they are not broken and go to the correct pages. The point is, don’t get lazy with your editing stage because you don’t want there to be very obvious mistakes that will take away from your credibility. Once you have your final draft, give yourself half an hour to an hour to come up with social media captions for Facebook, Instagram, LinkedIn, Pinterest and others. Remember to always use your keywords and variations in your captions. When you’re a solo blogger, you also have to be the one making sure that your posts are optimized for search engines, better known by its acronym of SEO. This means that you need to make sure you use your keyword and variations throughout your post so that you can actually rank for that keyword. Moreover, it’s important to get backlinks to your posts as these are one of the most important metrics for ranking on Google. Preparing your post for SEO means that you should do blogger outreach, get in touch with others linking to your competition and ask for backlinks to your post. Aside from optimizing for keywords and trying to get backlinks, you should also optimize your images. This means that your images should be small to not slow your site down, they must have titles and alt descriptions. Your title should have your keyword in it, and if possible, include your keyword in your alt description also while describing your image. 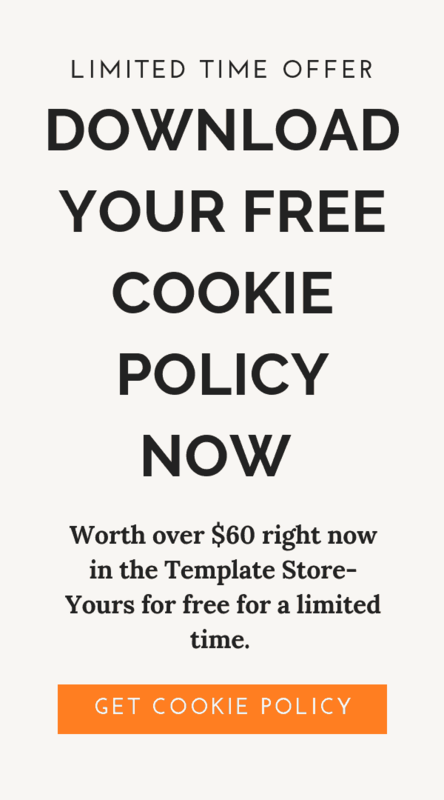 Don’t forget about your email subscribers. You want to prepare an email that will go out to them telling them about your blog post, and inviting them to read and share. A blogging schedule can be extremely beneficial to your success. It’s a tool that will help you stay consistent, post regularly, and know exactly what you’re supposed to do in advance. 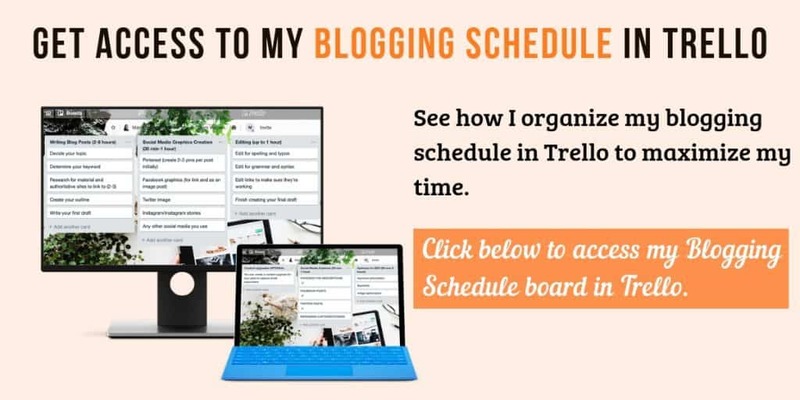 Having a blogging schedule takes the guesswork out of your routine because now you don’t have to wonder what to do next, or whether you forgot an important step or not. Everything is there for you, written down, and you just have to complete the steps one-by-one.